Feeling stuck has to be one of the most frustrating feelings for me. As someone who always wants to be pushing ahead and moving forward, when I get stuck, my default is to try harder or do more! I often feel like I’m just spinning my tires, which leads me to try more, which leads to more stuckness, and the cycle goes from there. Today, Well-Being Coach Shira Gura walks us through an amazing process to help you get unstuck from whatever is keeping you stuck. 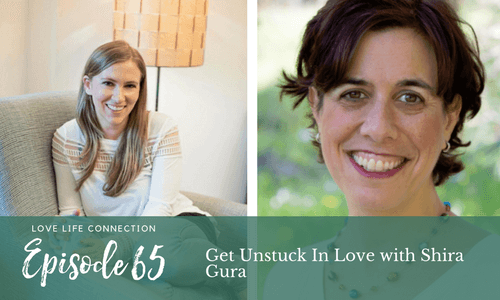 Shira Taylor Gura is a well-being coach and author of the book, Getting unSTUCK – Five Simple Steps to Emotional Well-Being. She created The S.T.U.C.K Method™ to teach people how to turn their “stuck” spots into sources for energy and positive change. Shira is also regular contributor to The Huffington Post and has been a guest on several podcasts including the award winning EO Fire. She lives with her husband and four children in Israel.